Almost one year ago we turned the month of March into ‘our month’, as we launched our Dutch YL-award. We made a lot of long distance radiocontacts with radioamateurs al across the globe. This year we will celebrate International Women’s Day, by organising “Ladies Night at PI4AA”. Also PI4YLC will be active in the Russian DX contest. Through their radiocontacts radioamateurs make friends far off . Sometimes these contacts lead to something special. Today, a big enveloppe arrived, covered in strange signs and exotic stamps. 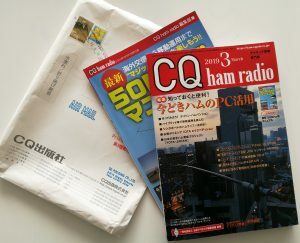 Inside, a Japanes magazine for radioamateurs: the ‘CQ Ham radio’ accomanied by a 50MHz special. 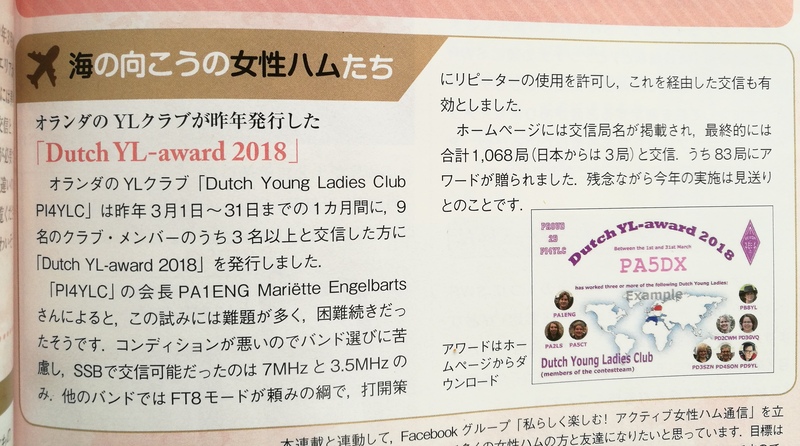 Somewhere in the middle of the magazine one finds an article about the Dutch YL-award. In Japanese, of course. ← PI4YLC in RDXC with nine YL operators!